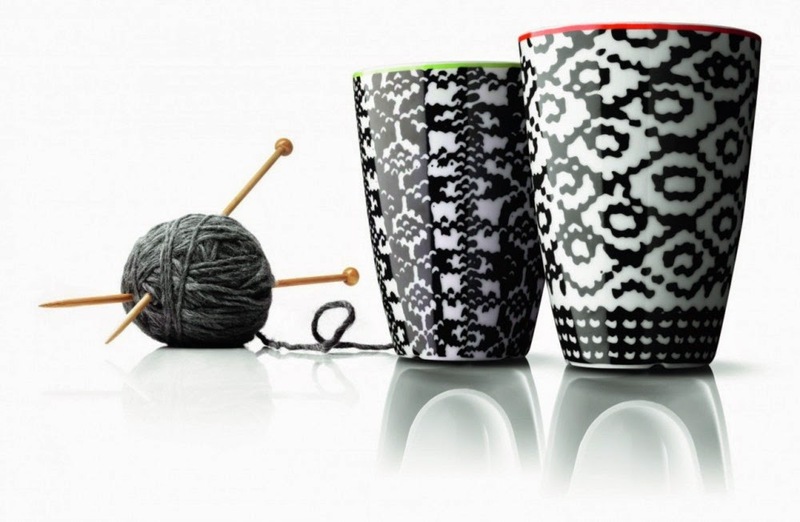 Add a touch of contemporary style to your morning coffee with these Menu thermal wool cups. Nordic Wool thermo cups by Menu are inspired by the patterns from Nordic knits. The knit sweaters were hot in the 70s but are again included in the collections of many fashion houses. And now for the first time you can let the knit patterns enter your kitchen too! The cup designed by Pernille Vea, is a limited edition of the award-winning Menu Black Contour thermo cup. It has an isolating double wall feature that will keep your drinks hot at the same time prevent you burning your fingers. The package includes two thermo cups, one with a yellow stripe and one with orange.